While Sochi gets all the attention for the beginning of the 2014 Olympic Winter Olympics, this blog is pleased to report from Los Angeles, California, home of the Los Angeles Memorial Coliseum (think 1984 Summer Olympics (boycotted by the then-USSR incidentally). 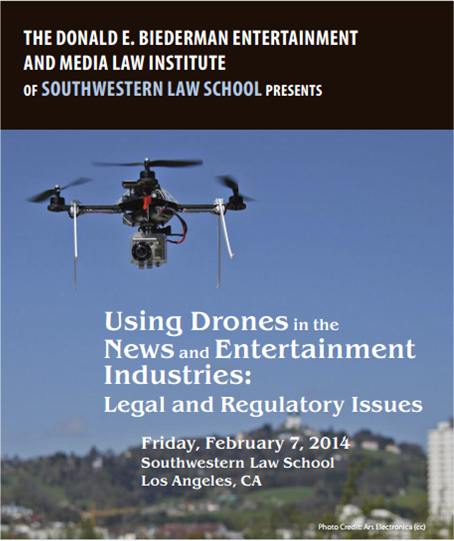 Here, the Donald E. Biederman Entertainment and Media Law Institute of Southwestern Law School is hosting a conference on unmanned aerial vehicles (“UAVs”) in the particular context of the news and entertainment industries. The conference has received favorable build-up or “buzz,” if you like. The conference should offer a fresh take on commercial UAV applications and will bring together a good group of academics and practitioners (probably the largest collection of lawyers ever that will collectively admit (though short of saying “I don’t know”) that the law is a relative unknown and still emerging aspect of UAV operations. For now, news goes on about the cost-effectiveness of UAVs in border patrol operations as well as interesting new applications for UAVs, from inspection of gravel roads to battling elephant and rhino poachers. Looking forward to having a drink at the post-conference reception and drone display. Stay tuned here for conference reports. Posted in UAV and tagged Donald E. Biederman Entertainment and Media Law Institute, drone, drone conference, new and entertainment industry, Southwestern Law School, UAV, Unmanned aerial vehicle on February 7, 2014 by Timothy M. Ravich.